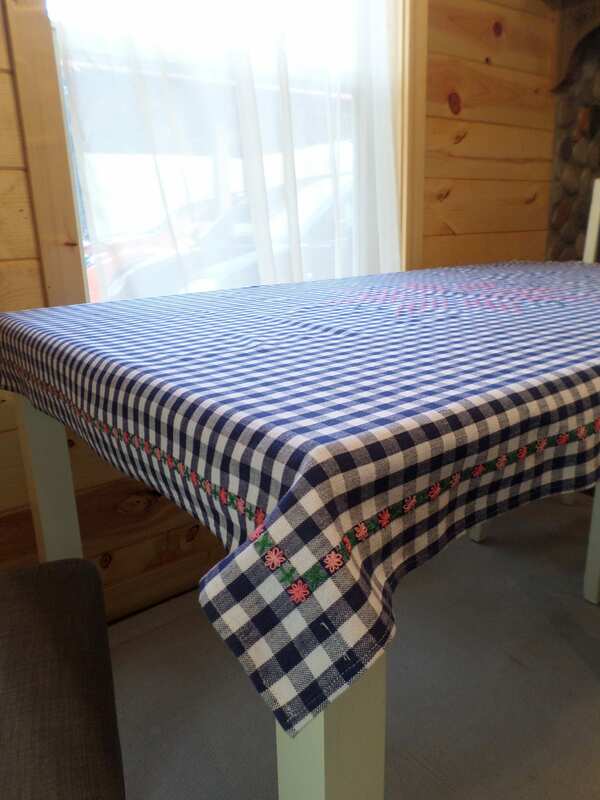 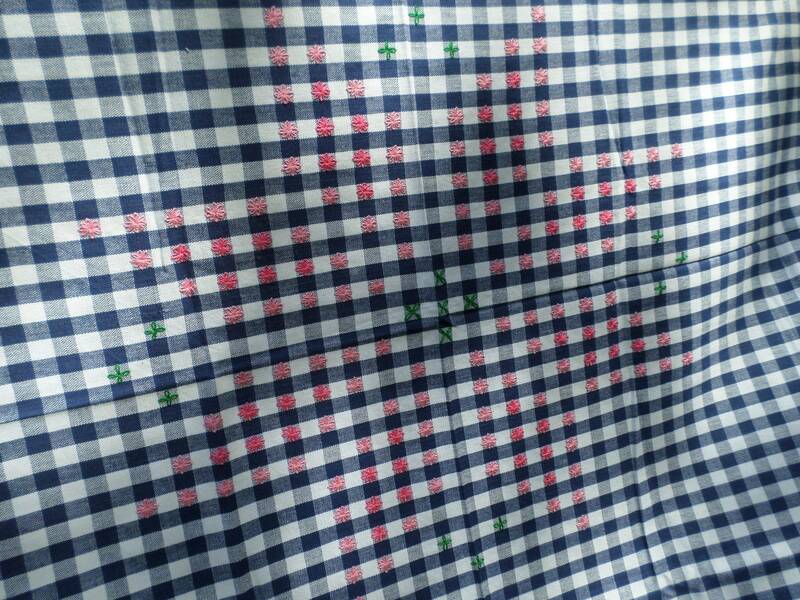 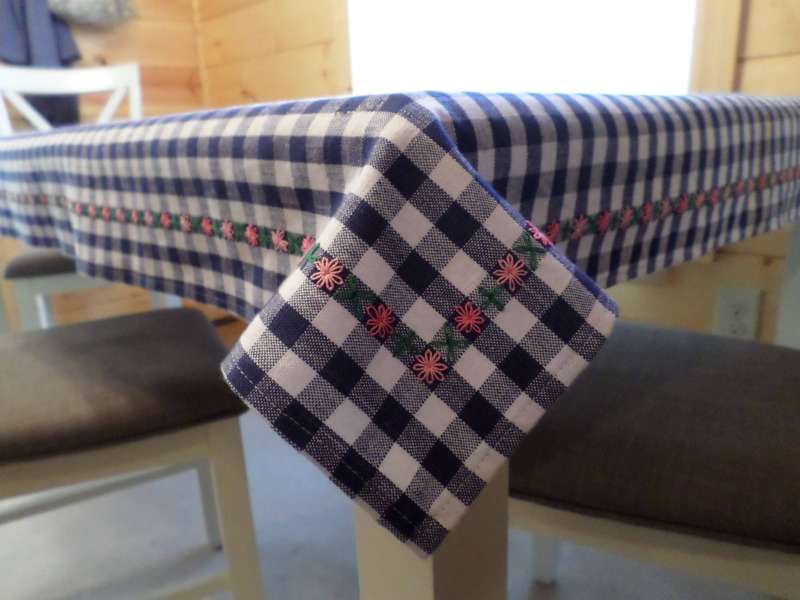 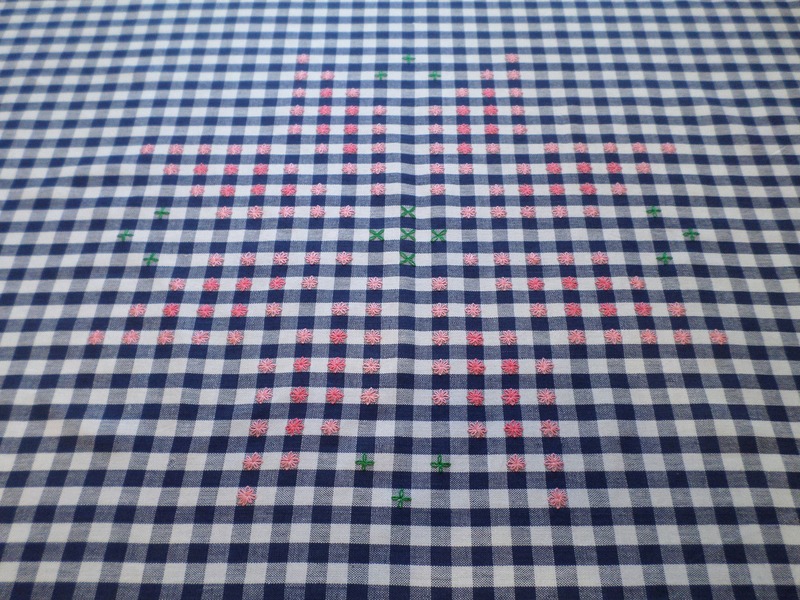 Medium-weight cotton fabric woven in a gingham check pattern with dyed yarns in white and royal blue. 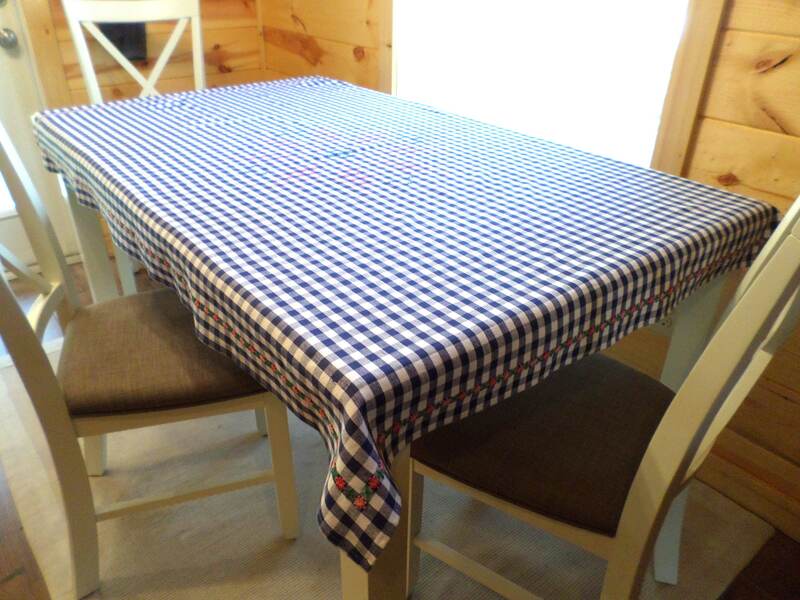 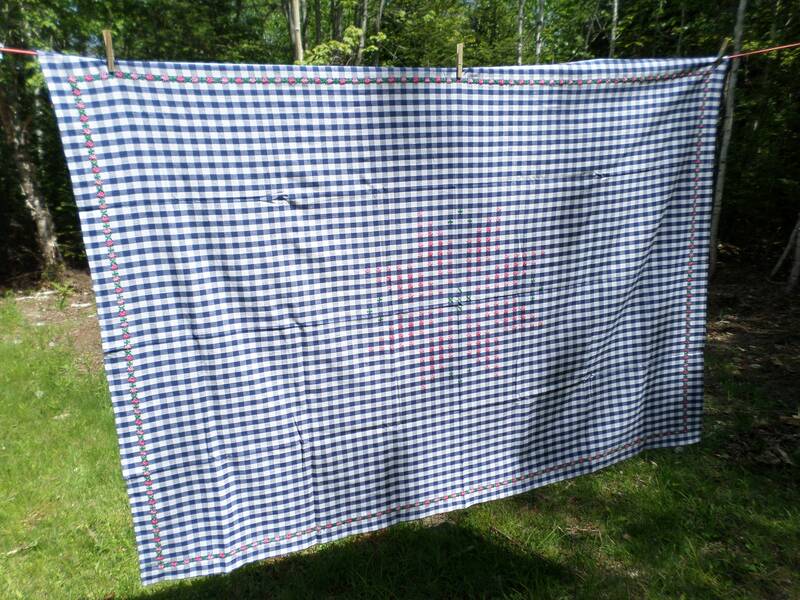 This gingham fabric has a medium-weight homespun quality . 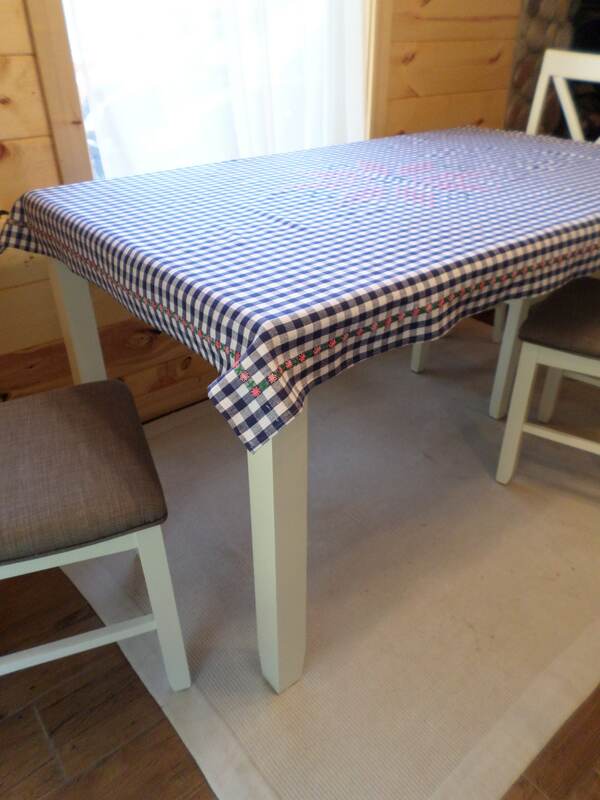 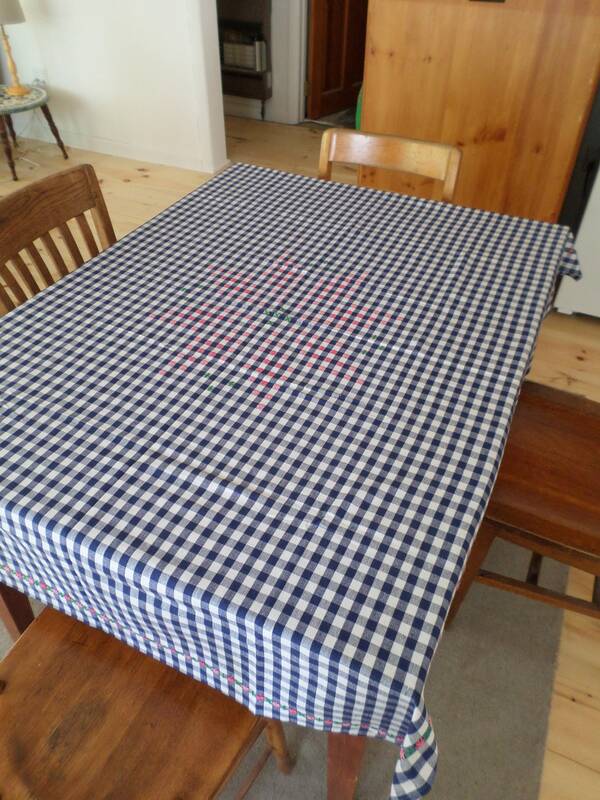 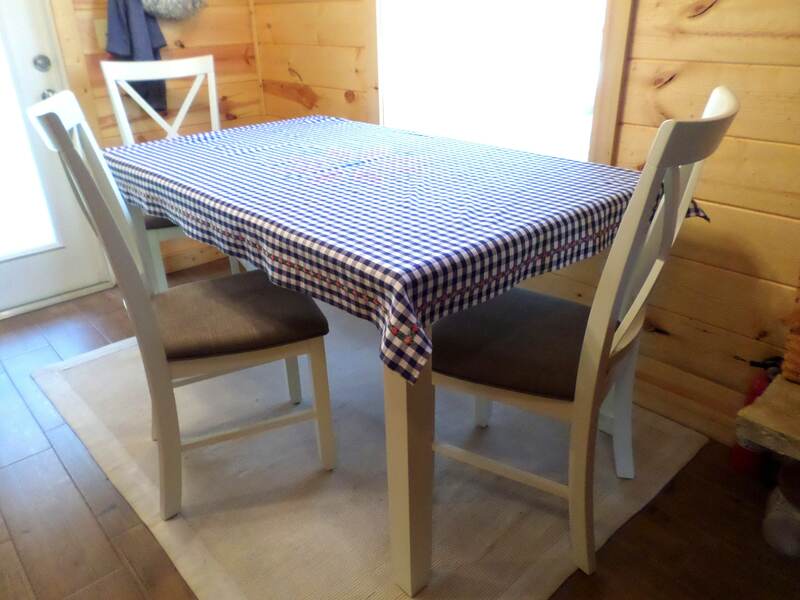 Measures approximately 44.5" x 63" Fits a table that seats 4. 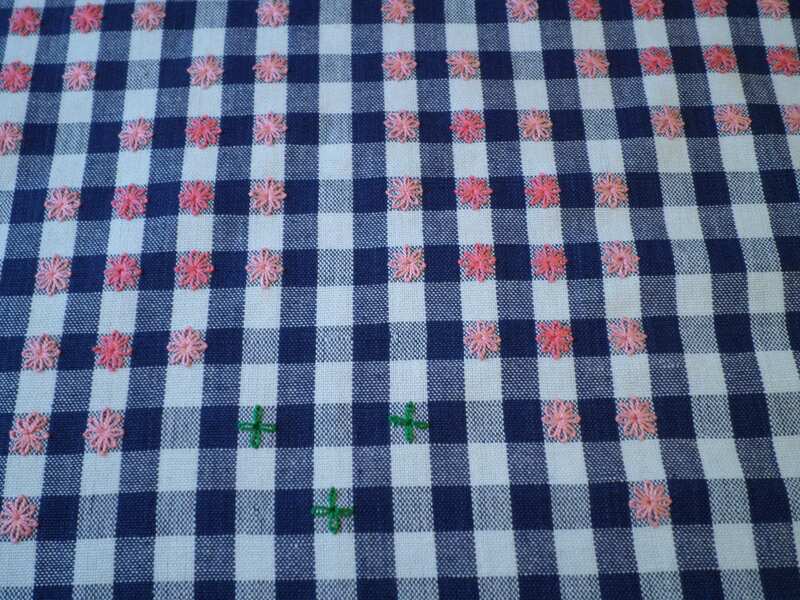 Hand-embroidered with a traditional eight-point star design in pink and green cotton.